WEAAD was officially recognised by the United Nations General Assembly in December 2011. According to the World Health Organisation, prevalence rates or estimates exist only in selected developed countries – ranging from 1 to 10 per cent. Although the extent of elder mistreatment is unknown, its social and moral significance is obvious. Individuals, communities, municipalities and organisations will come together across the globe to hold events on 15 June that raise awareness of elder abuse. These activities are often hosted with the aim of bringing greater recognition of the mistreatment of older adults wherever they live throughout the world and to highlight the need for appropriate action. 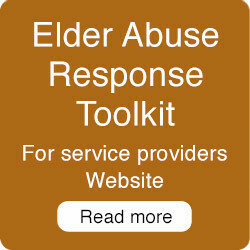 Seniors Rights Victoria Manager Jenny Blakey said there was a growing acknowledgement of elder abuse as a form of family violence. In Victoria, Australia, you are welcome to register your event on Senior Rights Victoria’s WEAAD website. Support your event with promotion material by using the WEAAD Toolkit which includes free image downloads to use as holding slides, email banners and social media prompts. Feel free to customise request for media coverage using our generic media release. Seniors Rights Victoria is a state-wide specialist elder abuse service that provides information, support, advice and education to help prevent elder abuse and safeguard the rights, dignity and independence of older people. 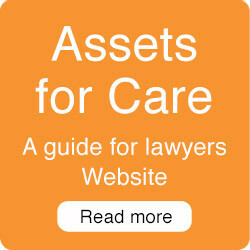 View information on their website is www.seniorsrights.org.au or contact the free, confidential Helpline: 1300 368 821. Western Health is hosting an Expo to provide an opportunity for health professionals to meet and build awareness of services that support people experiencing elder abuse in the Western suburbs of Melbourne. Victoria Police, Womens Health West & many more. • Performance by the Western Health choir. • Freebies and resources available. This entry was posted on June 28, 2019 by seniors-admin. We all want to be treated well and treated with respect no matter where we are in life. Sometimes as we get older, we experience disrespectful behaviour from people we know and trust. When this happens it’s important to know that there is help and support available. World Elder Abuse Awareness Day (WEAAD) occurs on 15th June each year. It’s an opportunity to reinforce that as people age, they have the right to live in dignity and with respect. Come along to a free forum (afternoon tea provided) for an interactive discussion with a speaker from Seniors Rights Victoria. Seniors Rights Victoria is a free service that assists people over 60 years of age and who live in Victoria. Bookings essential for catering purposes, visit https://weaad-eltham.eventbrite.com.au. For more information or assistance with your booking please contact Positive Ageing Officer, Katie Camilleri on 9433 3345 or email positive.ageing@nillumbik.vic.gov.au. Please note that another session is also being held at Diamond Valley Library at 10.30am – visit https://weaad-diamondvalley.eventbrite.com.au. This entry was posted on June 21, 2019 by Dan. Come along to a free forum (morning tea provided) at Diamond Valley Library for an interactive discussion with a speaker from Seniors Rights Victoria. Seniors Rights Victoria is a free service that assists people over 60 years of age and who live in Victoria. Bookings essential for catering purposes, online at https://weaad-diamondvalley.eventbrite.com.au. Please note that another session is also being held at Eltham Library at 1.30pm – book online at https://weaad-eltham.eventbrite.com.au. World Elder Abuse Awareness Day is on 15 June…Let’s start the conversation! Country Women’s Association – Altona branch is hosting a 90 minute presentation from Seniors Rights Victoria. We want older people in our community to feel empowered, in control of their finances or at least assured that they have the appropriate knowledge to appoint their Power Of Attorney. By hosting this session, we hope to raise awareness of issues anyone can face at sometime. The session will run for approximately 90 minutes and there will be time for questions/answers. This entry was posted on June 19, 2018 by seniors-admin. In recognition of World Elder Abuse Awareness Day, Mitchell Shire Council invites you to come along to our FREE information session and enjoy a day of entertaining stories and information, followed by lunch with opportunities to ask questions. This Elder Abuse Awareness session will cover information on elder abuse, rights of older persons, risks, prevention and the assistance and support available to you through Seniors Right Victoria. If you would like assistance with your booking, or would prefer to book over the phone, please contact the Community Development Team at Mitchell Shire Council on 5734 6200. This entry was posted on June 18, 2018 by seniors-admin. Elder abuse awareness day information stall and cupcakes! Visit the Council Kiosk in Safeway Mall to receive information on elder abuse, along with a cup cake from Quantum Support Services. Everyone is encourage to wear purple to this afternoon tea. Prizes will be awarded for the most purplish person. Purple cakes and slices will be served. Information and a talk about elder abuse will be provided. Staff and residents are encouraged to dress in purple for this special educational afternoon tea for Estia Health residents.